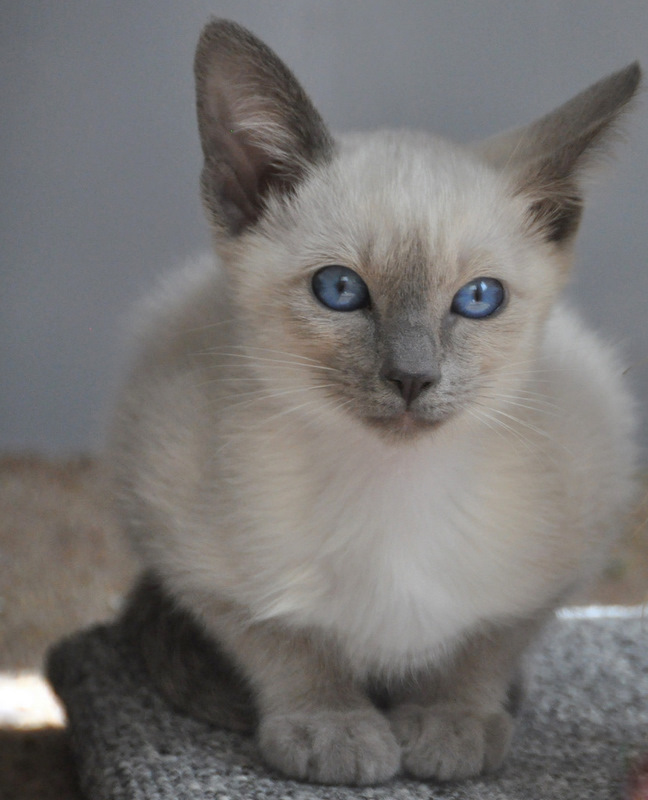 The following photos are of kittens from past litters. 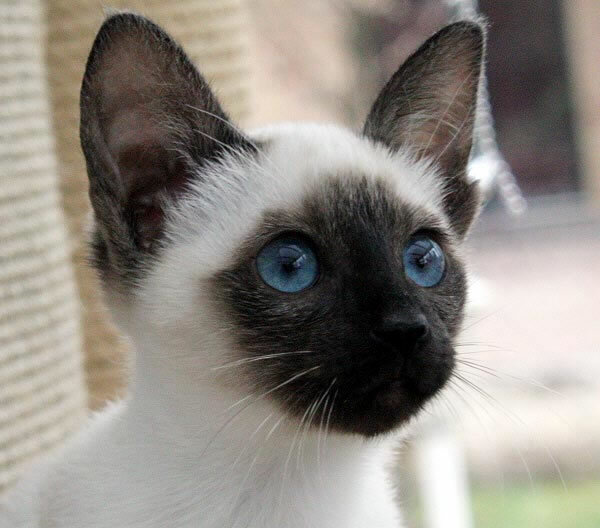 There are more kitten photos on the gallery page. 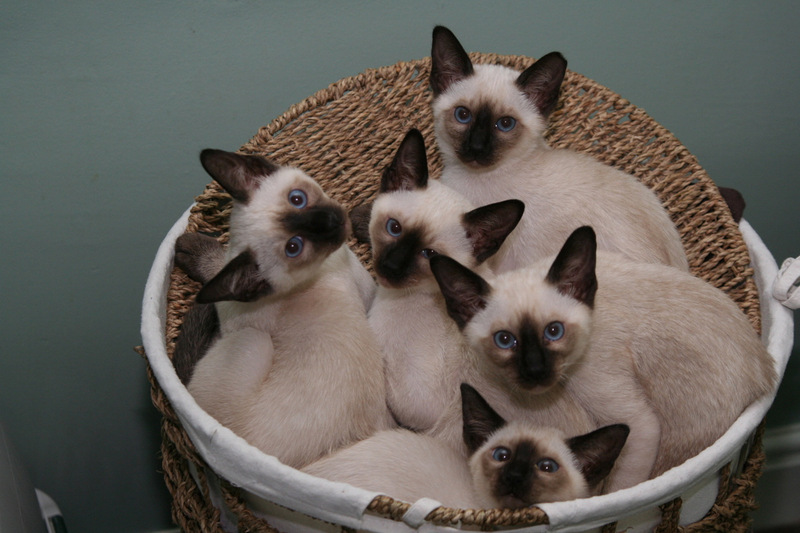 I have the occasional litter of kittens. 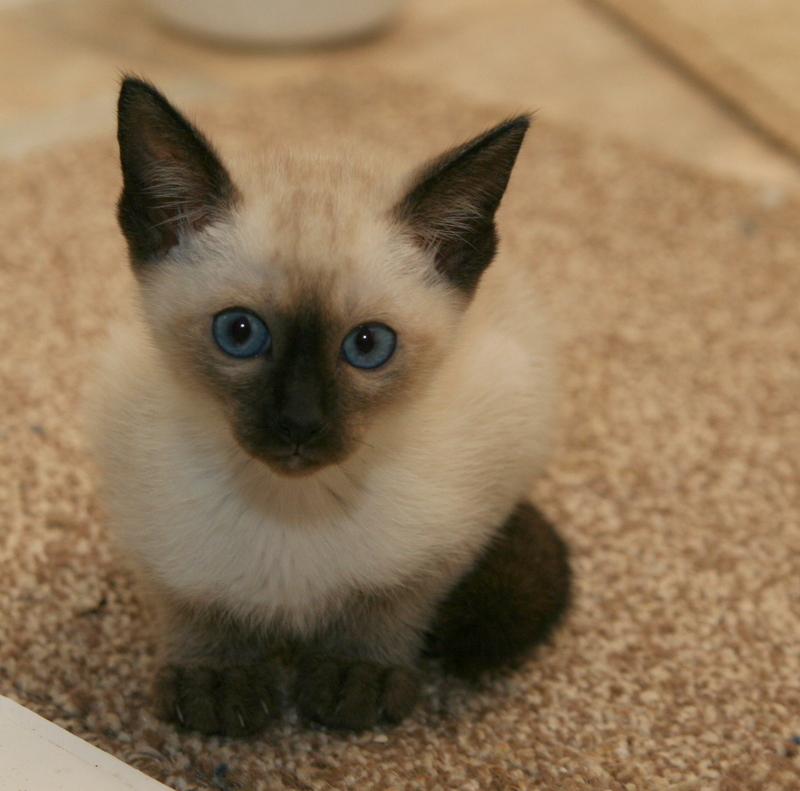 All Lintama Siamese kittens are reared indoors with us and therefore they get used to everyday noises. They are handled frequently so they become friendly and confident with people. 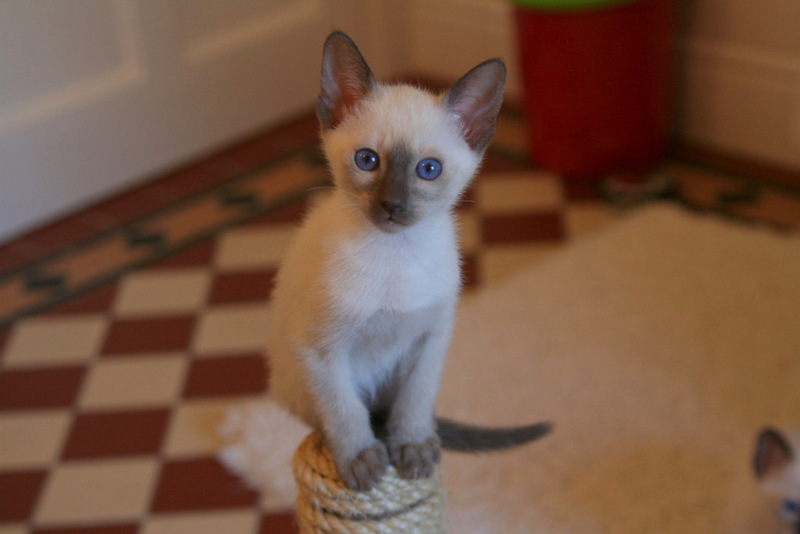 I always ask quite a few questions when I get kitten enquiries. 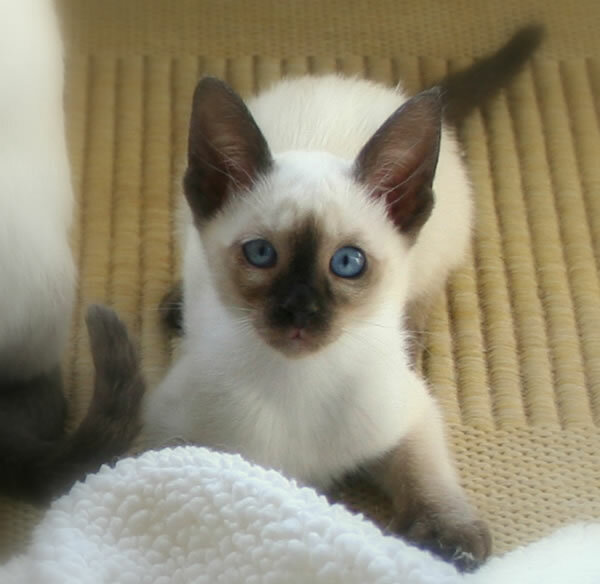 This is to establish that the person is suitable for a Siamese. It is also necessary for people to come and view the kittens at least once before they are ready to go to their new homes. 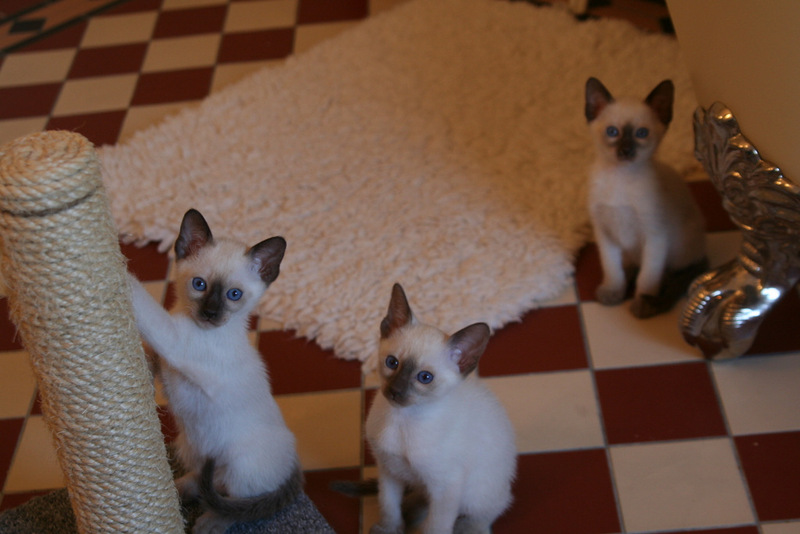 The kittens are reared on best quality food to give them a good start. Before the kittens go to new homes, I ensure they have been wormed and de-flead. 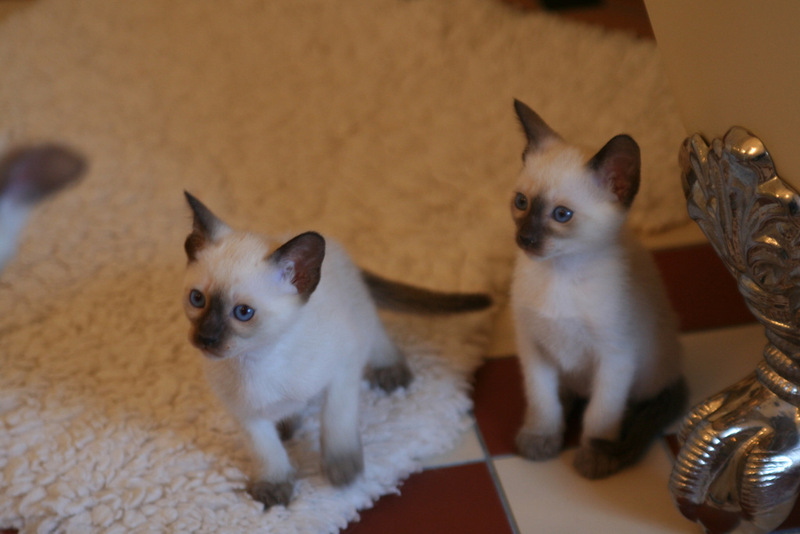 They are vaccinated for cat ‘flu and enteritis at 9 weeks and again at 12 weeks. I do not have them vaccinated for leukaemia as I think it just a bit too much for their immune system to take all the vaccinations at such a young age. I recommend that the new kitten owners get this vaccination done before the kitten goes outside. If they are to be kept indoors, this shouldn’t really be necessary. Before they leave, the kittens are microchipped and registered with GCCF . New owners are given a five generation pedigree certificate, the white registration document and 4 weeks free insurance. They are also given a kitten guide. New kitten owners are given an agreement to sign stating that the kitten will be neutered around 6 months of age. I will occasionally let a female go for breeding and only then to somebody who I think will do their very best for the breed. I rarely let a boy go on the active register. 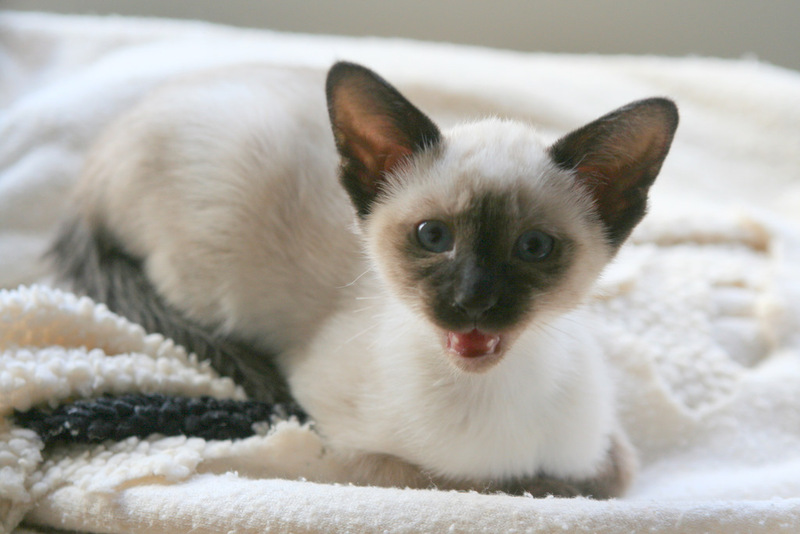 I always make it known that when people take home their Siamese kitten, they can contact me with any problem or ask advice about a kitten or cat and I will try to help if I can. They will have been treated for fleas and roundworms with veterinary products.